Oxy-fuel cutting is a chemical reaction between pure oxygen and steel to form iron oxide. It can be described as rapid controlled rusting. The surface temperature of the steel is raised to approximately 1800℉ (bright red color), then pure oxygen is directed towards the heated area in a fine, high-pressure stream. As the steel is oxidized and blown away to form a cavity, the oxygen stream is moved at constant speed to form a continuous cut. Only metals whose oxides have a lower melting point than the base metal itself can be cut with this process. 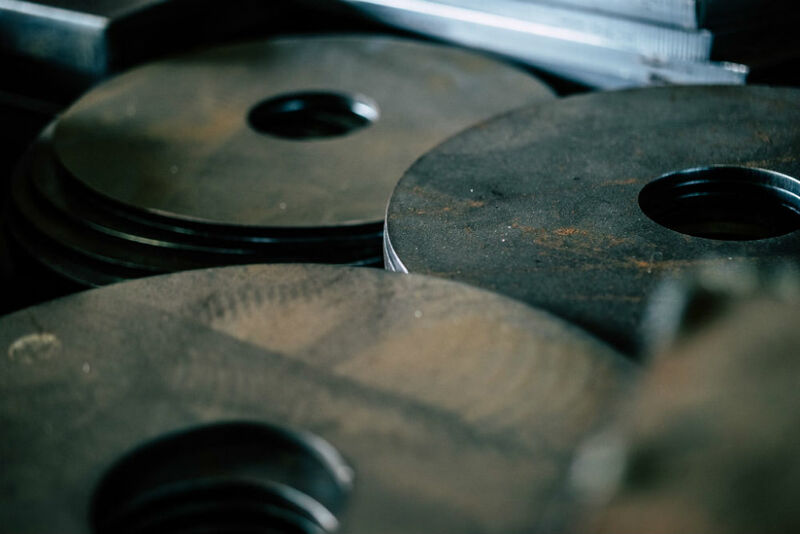 Only low carbon steel and some low alloys meet the above condition and can be cut effectively with the oxy-fuel process. Oxy-Fuel cutting up to 8” in Carbon Steel in-house. 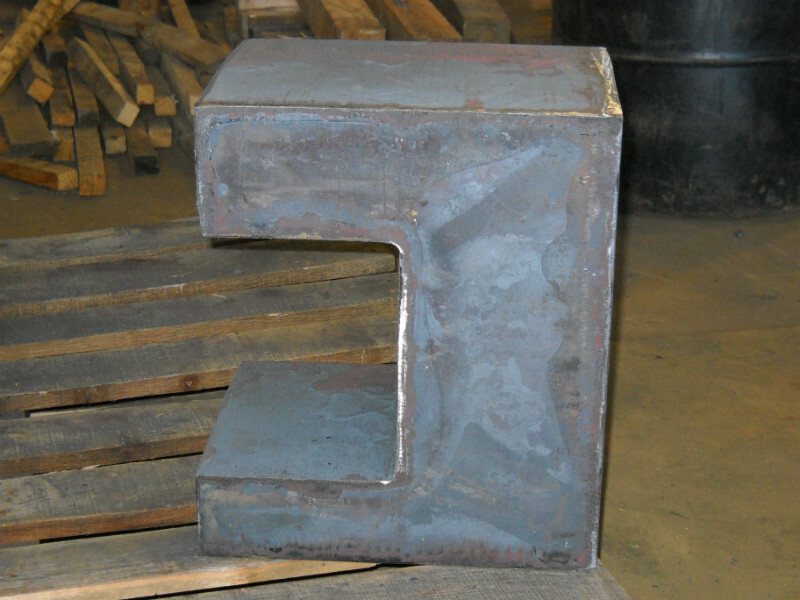 We can outsource Oxy-Fuel burning up to 24” thick carbon steel. Accuracies vary with thickness but generally we hold tolerances to ±1/8”. We stock A36, A514(T1), A516-70, A572-50, AR400, AR235, 1040, and 4140 plate.